Vuepoint first teamed up with Bartlett Cocke to give them a beautiful solution for the general contracting side of their business with bartlettecocke.com. 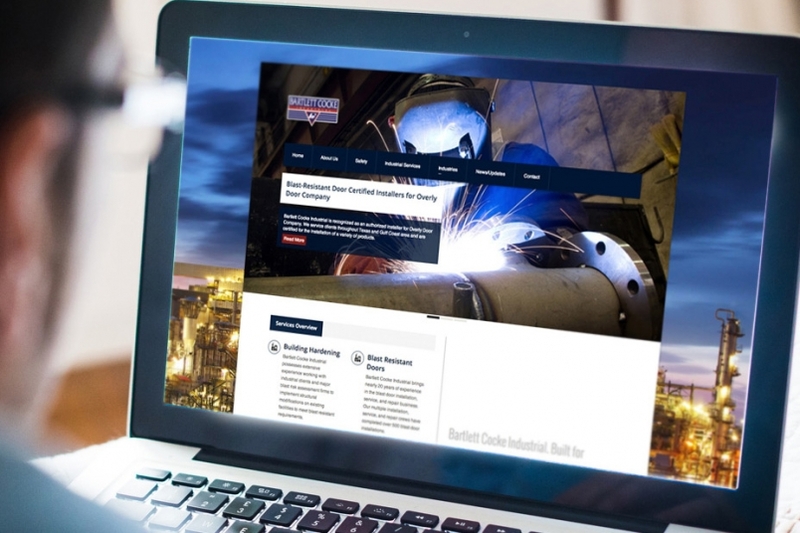 Soon they needed a place on the web to showcase the industrial side of Bartlett Cocke and naturally, Vuepoint was there to help! The website features services and industries they specialize in as well as some of their clients. Potential clients can browse the website by viewing projects organized by industry with details on the client, project description with image and location of the project. As Bartlett Cocke Industrials client list grows, they can continue to add new clients to their corresponding industry page. The website also features a blog that can be regularly updated with any news or awards they company receives which displays in a feed in the footer of every page. All of which are made easy thanks to WordPress. No matter what type of device the website is viewed on, the responsive website design will automatically reconfigure itself to give the user the best experience. Vuepoint strives to provide web solutions that can grow with a business and bartlettcockeindustrial.com is no exception! Start your digital transformation, we're ready. © 2019 Vuepoint Creative. All Rights Reserved. San Antonio Web Design & Development.